Donsol Eco Tour is the management company of Ticao Island Resort. The name Donsol Eco Tour may be used interchangeably with Ticao Island Resort. Here our travel tips for you: Click for more information. If you have arranged for airport pick-up at the Legaspi or Masbate Airport, ensure that the flight information stated on your confirmation voucher is correct as we will be following that schedule. If in case the information on the confirmation voucher is incorrect or if there have been changes to your flight, please contact us. For those arriving into the Legazpi Airport, our airport representative is stationed in the Donsol Eco Tour/Ticao Island Resort/Casa Simeon table inside the arrival area, found after luggage collection section and before exiting the arrival doors. Please look for a Donsol Eco Tour/Ticao Island Resort/Casa Simeon sign and/or your name. If in case our airport representative is not around, please just wait a few minutes as the airport representative would have just walked other visitors to their vehicle. For those arriving into the Masbate Airport, our airport representative will be holding a sign with your name. The Masbate Airport is very small and the plane that arrives into Masbate are the small plans so it does not get crowded and it will not be difficult to find your pick-up. For all tickets purchased after 31 August 2017, airport taxes are incorporated into your plane ticket upon purchase. The Philippine Travel Tax of PHP1,620 which is charged ONLY to Filipino passport holders departing the Philippines may still have to be paid at the airport if in case your airline did not include this into the ticket price. Cash payment in Philippine Peso is the preferred payment method. Other major currencies are accepted and the conversion will be dependent on the current exchange rate used by Donsol Eco Tour. ATM and Cash Machines with major banks are available in Legazpi City and Masbate City. It is advisable to get out cash when in the city as other areas will not have very reliable facilities. Donsol Eco Tour and Ticao Island Resort accepts payment by credit card but credit card payments are subject to bank fees. There are 2 main mobile providers in the Philippines – Globe Telecom and Smart Communications. A local SIM card is inexpensive (about PHP100) and is easily purchased in most retail outlets called loading centres or sari-sari stores. Phone credits can be purchased through e-load in denominations starting as low as PHP10. Metro Manila Excellent; available almost everywhere Readily available in hotels, shopping malls, and coffee shops. Internet shops are abundant. Cebu City Excellent; available almost everywhere Readily available in hotels, shopping malls, and coffee shops. Internet shops are abundant. Legazpi City Very Good; available almost everywhere Readily available in hotels, shopping malls, and coffee shops. Internet shops are abundant. Ticao Island Good; easily available but may fluctuate Free WiFi in resort restaurant. WiFi may reach Cabanas if signal is strong; signal may fluctuate. The electrical outlets in the Philippines run on 220 volts Outlets have 2 flat plugs (see illustration). Vegan and vegetarian food are readily available upon request. Although most meals will have a vegetable dish included, we can arrange for meals specifically for vegans and vegetarians. Guests are responsible for informing our staff about any allergies or food restrictions you may have. VISA and immigration rules differ depending on the passport that you hold. Please be advised that the information given below is based on the date that this document was prepared (1 July 2019) and any updates in the Philippine Immigration Law may not be reflected in this document. Nationals from countries listed on https://www.dfa.gov.ph/list-of-countries-for-21-day-visa who are traveling to the Philippines for business and tourism purposes are allowed to enter the Philippines without visas for a stay not exceeding thirty (30) days, provided they hold valid tickets for their return journey to port of origin or next port of destination and their passports valid for a period of at least six (6) months beyond the contemplated period of stay. Other entry rules can also be found on the same link. If in case you stay longer, you can extend your VISA at the Immigration Office in Legazpi City. Should you need to extend your VISA, you are encouraged to file for the extension at least 5 days prior to the expiration of your VISA. Please be advised to be dressed properly. Among the attires prohibited at the Immigration office are: above the knee shorts, sleeveless undergarments, short shorts, pants or skirts with very low waist line or very high side slits, blouses or shirts that show the navel, transparent and off- shoulder, spaghetti straps, backless and plunging neckline blouses, and mini-skirts. Wearing of sunglasses, slippers, sandals, flip- flops and hats are also strictly prohibited. 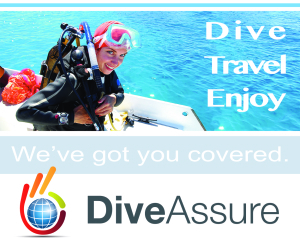 Travel insurance is not a requirement when travelling with Donsol Eco Tour. Our company takes all the necessary measures for your safety and security. We do our very best to give you a smooth flowing and wonderful holiday. However, there are situations which will be out of our control, such as your personal health, weather and airline rules and policies. For your security and peace of mind, you are encouraged to purchase your own Travel Insurance before visiting the Philippines. For emergency concerns you may contact us through email, mobile, or phone as shown below. Email addresses are connected to our staff’s Blackberry so we should be able to get your email immediately. Email: info@ticao-island-resort.com or info@donsolecotour.com. The email address of your individual travel consultants is stated in your travel voucher. Please be reminded that we are following Philippine time (+8 GMT), emails sent late in the evening or early morning may not be noticed as we would be asleep. There may also be delays in email replies on weekends and public holidays. For late evening or early morning calls, we would appreciate it if these were emergency situations only as someone will have to wake up to answer the call.